Who said the Wigmore Hall, the world’s temple of chamber music, was stuffy? Disregard for a moment the devoted crowd who routinely pack its classical concerts, and consider what else it does: education and outreach work, dementia therapy, and a regular jazz strand; Radio 3 broadcasts from it constantly; and last Saturday it played host to an edition of Radio 4’s Today programme in which Michael Gove managed – some little boys never grow up – to shoot himself spectacularly in the foot. Built in 1901 as a working showroom for German pianos – and renamed to placate Germanophobes in 1917 – this hallowed space has become central to Britain’s cultural life. 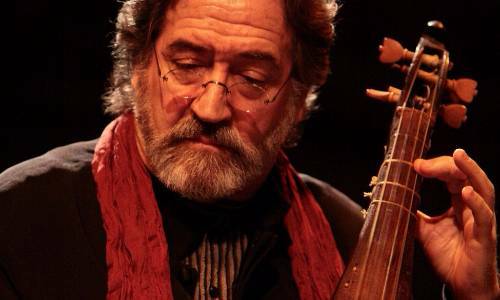 The Catalan musician Jordi Savall is one of the Wigmore’s regular guests: on each visit he brings a different variant on the theme to which he and his ensemble have devoted the last twenty years. That theme is a crusade – to use music to heal the religious and ethnic divisions now prevailing round the shores of the Mediterranean, and in particular to try to restore the amity between Muslims, Christians, and Jews which was sundered in 15th century Spain. This time they took us to 18th-century Constantinople. That was a different cultural melting pot, with Jews, Armenians, and Greeks living harmoniously – and making music – side by side with their Muslim hosts. And the focus was on Dimitrie Cantemir, a Moldavian prince who was held hostage by the Turks, went happily native, became a virtuoso player on the tanbur lute, and compiled a definitive register of Turkish melodies, some of which were his own compositions. Employing their usual method, Savall and his musicians created a palimpsest of songs, dances, and improvisations drawing on Armenian, Greek, Balkan, and Sephardic as well as Turkish sources, and, since everyone on stage was a virtuoso, the result was an evening which sped delightfully by.